We usually have upcoming seminars in a variety of locations in coming months, so download a prospectus for full details. There are no pre-requisites for this one day seminar — all I ask is that when you book yourself on a self-hypnosis seminar, you attend with an open mind and a willingness to engage with the skills you are taught. Some shifts in beliefs, perspectives and behaviours can happen on this self-hypnosis seminar. Everyone that attends the course and approaches it with a progressive, open mind can experience some changes, make some fascinating discoveries and learn a great deal. Self-hypnosis is where I started my journey into this field… It helped me to make seemingly miraculous changes physiologically and psychologically that I had not dreamt possible at that stage in my life. Since then and as of today, I have authored a great many published articles on the subject, recorded audio programmes that sell globally and written one of the bestselling books on the subject, “The Science of Self-Hypnosis: The Evidence Based Way to Hypnotise Yourself” which details aspects of the foundations of this seminar. As a result, this seminar is based solidly on evidence-based principles and sits on a foundation of research studies to support what is taught. Additionally, my current PhD study examines the efficacy of self-hypnosis and my own peer-reviewed systematic literature review was the first in history about this subject matter. In recent years, as I have researched, explored and allowed my knowledge and experience to develop as I have taught the subject to many hundreds of individuals around the world that have attended this seminar, as I have lectured around the world and as more people have followed my work, this seminar has also developed into being as it is today. I Have Evidence Of How Capable My Mind Is! As well as being taught the historical context of self-hypnosis from the early workings of the origins of hypnosis James Braid and his use of self-hypnosis, through to the comprehensive work on autosuggestion of Emile Coué, through to academics, developers, researchers and tinkerers of the more modern era, you’ll get to learn some of the classic applications of self-hypnosis. You’ll learn skills that will convince you without doubt of your ability to hypnotise yourself. Ranging from Emile Coués imagination experiments to more modern feats of hypnotic phenomena that leave you convinced that you are hypnotising yourself and are capable of great things with it’s application. There are many applications and although self-hypnosis is no panacea, the skills you learn on this seminar can be transferred to a wide number of facets of your life. You learn how to increase your ability to communicate with yourself, and how to communicate with yourself more effectively. You’ll learn how to use your imagination with great effect and a number of cognitive strategies – all of which have evidence supporting them to support their efficacy. Self-Hypnosis can be used for controlling pain, distorting your perception of time, accelerated healing, letting go of limiting behaviours and a number of other applications too – I use self-hypnosis to help me complete the multi-marathon running events I compete in each year with great effect. During this one day seminar, you learn how to do all those things… Including the time distortion, pain management and lots of other seemingly mind-blowing applications… Self-Hypnosis is a way to enhance your control of these things. We usually have upcoming seminars in a wide variety of locations, so download a prospectus for full details. This practical, eye-opening seminar shows you a structured and easy to follow method to take yourself into hypnosis and how to use it. You get taken into guided hypnosis by me also. Make progressive changes in your life. Be convinced of your own ability to use and apply self-hypnosis. Get a good insight into the world of hypnosis and have it demystified. Heighten your awareness of how to utilise your resources to their full potential. Learn ways to use powerful, evocative hypnotic language to elicit change within yourself. Have self-hypnosis put in an evidence based and historically correct perspective. Learn a number of other evidence-based hypnotic skills to enhance your responsiveness to hypnosis too. This is potentially a life-changing day, and definitely a comprehensive and exciting day! You will also learn how to use self-hypnosis for deep relaxation. The kind of specialist relaxation that Russian researchers Pavlov and Platanov developed in the 1950s. Everything is written out for you, ready to put into practice, you get a full, comprehensive course manual and several handouts. Likewise, you’ll get ongoing support if you require it with other self-hypnotists in our hypnosis hub. An easy to follow, structured method of taking yourself into hypnosis. That regardless of what model of hypnosis you believe in, you can use and benefit from self-hypnosis. The historical context and development of the field of self-hypnosis. Evidence based principles to make sure you derive the most benefit. Key ingredients of how to be in control of your experience of hypnosis. How to create and write life changing, incredible hypnotic programmes for change. How to make the most out of your suggestions. How to relax hypnotically to powerfully deep levels. Advanced and intriguing methods and applications of self-hypnosis. How to deepen your perception of hypnosis to levels that are utterly blissful and dynamic. How to nurture your relationship with yourself. Amazing insightful ways to apply self-hypnosis to your life. Different ways to deliver suggestions to yourself. How to harness and utilise the enormous power than resides within you. Special rapid self-hypnosis induction to enter the state instantly whenever and wherever you want. How to use self-hypnosis to generate physical and mental changes. Combine Self-Hypnosis with modern personal development techniques. A range of convincers and experiments to show you what you can do with self-hypnosis. Relax in a friendly, informal group setting, and learn with other people from a real variety of backgrounds. Have a lot of laughter… I aim to make this course stimulating and a lot of fun. Get the opportunity to do some exercises you may never have thought possible! Of course, you learn many things on many levels and all the learning is enhanced and embedded during the numerous hypnosis sessions that you experience throughout the seminar. I personally take you into hypnosis on several occasions throughout the day-long seminar — you’ll know what hypnosis is without a shadow of a doubt by the end of this seminar! This also does ensure that you are fully acquainted with the varying ways in which you can experience hypnosis. Detailed introduction to self-hypnosis and dispelling the myths. Personal experience of two hypnosis sessions for everyone. Principles to advance your experience of self-hypnosis. The self-hypnosis evidence base and historical context. Practicing a wide range of inductions for self-hypnosis. The Safe, Controlled Relaxation Programme. This is the ultimate in hypnotic relaxation! How to use words with your mind… The best words for you… Evocative language that elicits the most amazing responses and reactions for you. Looping programmes… Leads to quantum looping, a fascinating concept. Mind Mapping your self-hypnosis programmes of change. Practice of skills and personal application of convincers. Advanced methodologies and specialist techniques from various fields. How to install your self-hypnosis programmes in your mind. Bringing your programmes to life, adding depth and dimension. Powerful exercises to convince you of the power of your self-hypnosis. Mind blowing opportunity to see the true power of your mind! Anyone wanting to find out more about the world of hypnosis. People looking to enhance their lives and learn more about themselves. People looking for cutting edge tools to excel and enhance in any area of their life. Anyone wanting a heck of a lot of fun! Anyone wanting to truly master the process and practice of self-hypnosis. Hypnotherapists looking to show their clients how to use self-hypnosis effectively. An investment of one day and a nominal fee lets you tap into years of accumulated knowledge; learn proven methods and newest techniques; and return home informed and inspired. This day-long seminar develops skills you are sure to use for years to come; it heightens your awareness of your mind and enables you to use it for more and morebenefit. You discover how to use that resource that resides within us all, now you have a choice to awaken it and use it and enrich your life! Fill in the boxes on this page to immediately be sent further information, and an up to date listing of all our venues and dates throughout the UK (London, Manchester and Bournemouth) over the next year. If you have additional questions, please email me now or just phone my offices on 0845 890 9000. I’ll always respond within one working day. Thank you. I offer you (what I consider to be) the finest tuition, a most enjoyable experience, lots of laughter and the opportunity to have choices in your life to be who you want to be, to achieve, to excel and to feel really good. This one day seminar counts as official Continued Professional Development (CPD) for hypnotherapists and hypnosis professionals that are members of the General Hypnotherapy Register (GHR, via the GHSC) and the National Council For Hypnotherapists (NCH). If due to unforeseen circumstances any delegate needs to cancel an enrolment, up to one month before the course / seminar / workshop commences a refund of 66% of the paid course fee will be made by The Anglo European College of Therapeutic Hypnosis (T/as Adam Eason College of Clinical and Experimental Hypnosis Ltd). Unfortunately, for any reduced initial fees paid (i.e. You took us up on an offer of a reduced course fee) and for any cancellations made within a month of the start date or after the start date of the course, no refunds are available.Please note: If you wish to move on to a different course at a later date and you give us less than a month’s notice, there are additional fees incurred due to hotel booking costs etc. 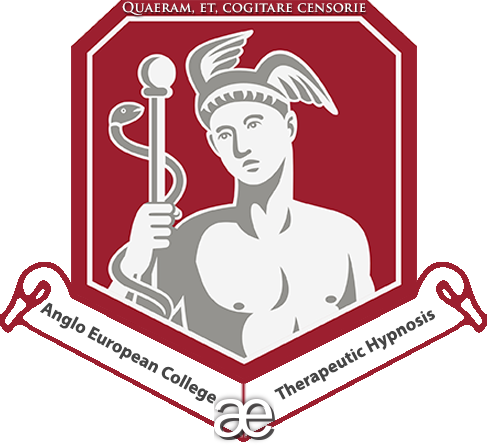 If for any reason or due to unforeseen circumstances the programme you enrol upon has to be cancelled, The Anglo European College of Therapeutic Hypnosis (T/as Adam Eason College of Clinical and Experimental Hypnosis Ltd) will refund your payment in full. The Anglo European College of Therapeutic Hypnosis and/or its directors will not be liable for any other expenses. If you enrolled upon a course taking us up on a reduced fee offer or discount, then no refunds are available. However, you may be able to move onto an alternative course date for the same course if circumstances are such that you are unable to attend your originally planned course. Contact us to discuss. As our thanks for expressing an interest, if you fill in the boxes of this page and simply confirm receipt of the email you are automatically sent (with venues, dates etc) we’ll send you on a free, instantly useable hypnosis session to enjoy at home. It has unique, especially composed music, hypnotic effects and you’ll love it! I very much look forward to meeting you, having lots of fun and showing you how to open your mind to this truly remarkable and liberating phenomena that is self-hypnosis. Again, We usually have upcoming seminars in a variety of locations, so download a prospectus for full details. Thank you for reading. I send you my very best wishes, go for it! Bournemouth, Friday the 1st of March, 2019. You can get in touch with us directly via phone or email to organise payment, or simply click on one of the options below. This one day seminar is £97.00 plus Vat (total of £116.40). If you’d like to attend our rapid inductions and hypnotic phenomena seminar which is run at the same venue on the day prior to this self-hypnosis seminar every time we run it, then you can book onto both for a discounted fee of £150.00 plus Vat here too (total of £180.00). Once your payment has been processed, we will contact you immediately to confirm and to book your place upon the seminar venue you wish to attend. You’ll receive preparatory information and materials upon successful enrolment. If you’d like to book more than one of you, do that individually or get in touch and we’ll organise for a single payment to be made for more than one person booking together. For our seminars that are upcoming in other locations, get in touch with us directly or/and download the prospectus for dates and details on how to reserve your place.